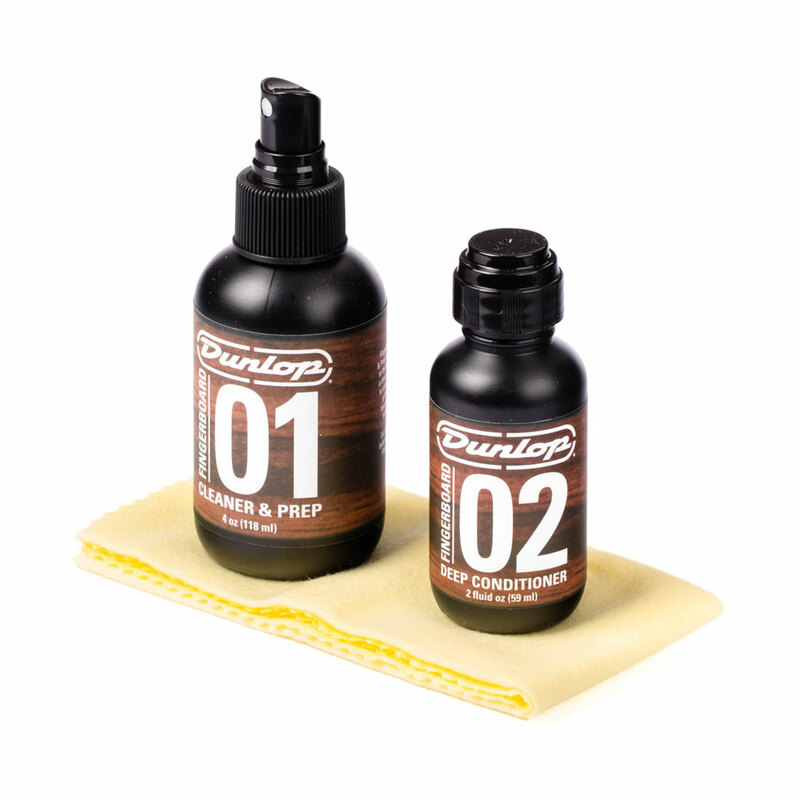 The Jim Dunlop Fingerboard Care Kit provides a simple and cost effective way of looking after your fretboard, the kit contains 1 bottle of fingerboard cleaner and prep, 1 bottle of deep conditioner oil, 1 microfibre cloth and 1 micro fine fret polishing cloth. Fingerboard Cleaner and Prep is the first step in the fingerboard maintenance system. It gently dissolves dirt and residue from your fingerboard, maintaining the proper feel of your instrument. Deep Conditioner Oil is a premium fingerboard oil. It replenishes your fingerboard with natural protective oils, conditioning the wood and bringing out its character.